The attorney from Millar & Mixon, LLC, says younger drivers need to understand that careless driving carries consequences for themselves and others. Too many people are being killed in car accidents, and especially too many young drivers. Atlanta car accident lawyer Bruce Millar said today that two new national reports showing a rise in traffic fatalities should spark a renewed focus on teaching young drivers about the consequences of ignoring traffic safety rules. Millar, the managing partner of the Atlanta personal injury law firm of Millar & Mixon, LLC, pointed to a recently issued report from the Governors Highway Safety Association (GHSA), showing a 19 percent jump in teen driving deaths in 2012. He also cited a new National Safety Council (NSC) report, containing preliminary figures that show a 5 percent increase in traffic fatalities overall in 2012 – the first such increase since 2005. In particular, the NSC report shows that Georgia had 1,182 fatal car accidents in 2012, or a 6 percent increase from 2011. “Too many people are being killed in car accidents, and especially too many young drivers,” Millar said. Millar & Mixon, LLC, provides legal representation to the victims of car and other motor vehicle accidents in Atlanta and across Georgia. Although the GHSA and NSC reports do not detail the cause of fatal car accidents, Millar said his firm’s investigations show that a majority of crashes are caused by careless and reckless driving. “To prevent accidents, we clearly need to instill safe driving practices early on with our youngest drivers and make them understand that careless decisions and actions – speeding, driving while distracted and driving after drinking to name a few – carry serious consequences,” Millar said. In addition to facing criminal charges, negligent and reckless drivers may also face consequences in the civil justice system, Millar pointed out. Victims of car accidents in Georgia can seek compensation from at-fault drivers – and their insurance companies – for property damage to their car, medical expenses, lost wages and for their pain, suffering and emotional distress, the Atlanta lawyer said. After a fatal wreck, a wrongful death lawsuit can seek compensation for surviving family members for funeral and burial expenses, loss of companionship and other losses. The Atlanta personal injury law firm of Millar & Mixon, LLC, based in Atlanta, GA, focuses on representing persons injured in car, truck, motorcycle, bus and other motor vehicle accidents. The firm also handles DUI cases, slip and fall injuries and animal attacks and bites, among other personal injury claims. 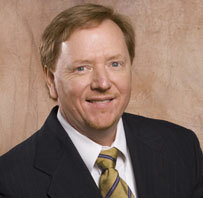 Since 1993 Atlanta attorney Bruce Millar has obtained judgments and settlements exceeding $66 million for his clients. The firm represents Georgia accident and injury clients throughout the Atlanta metropolitan area and the state of Georgia, including Jonesboro, East Point, North Atlanta, Sandy Springs, Forest Park, College Park, Decatur, Roswell, Marietta, Peachtree City, Fayetteville, Riverdale, Lawrenceville, Athens and Macon. The firm’s office is located at Colony Square, 1201 Peachtree Street, N.E., Atlanta, GA 30361. For more information, call (770) 477-6360 or contact the firm through its online form.